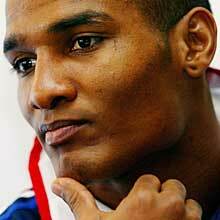 WHO: This handsome face belongs to French Soccer Player, Florent Malouda. WHY: He's helped OL maintain it's dominance in France. The team has won numerous championship titles in the last 5 years. PLACE OF ORIGIN: Cayenne, French Guiana. Labels: Sports, Who's That Guy? Say what you will about Serena Williams but there aren't too many players, in any sport, who can miss two years of play and return to win consecutive matches as if by sheer will power. 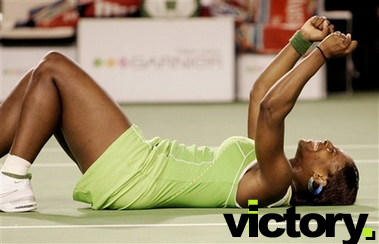 Serena captured her 8th Grand Slam title and third Australian Open by polarizing tennis sensation, Maria Sharapova, in one of the most lop-sided victories in the open's history. Ranked an uncharacteristically low 81 coming into the tournament, Serena will shoot up the WTA Rankings chart faster than a Kids Bop album on Billboard, when the new rankings are announced next week. In other news, Serena is reportedly in talks to produce a biopic about the life of late tennis legend Althea Gibson. She's adamant she has no plans to star, but with Serena's track record of defying the odds, anything is possible. Kerry Washington in "The Dead Girl." Continuing to avoid type-casting, Kerry Washington takes a trip to the dark side as "Rosetta," a lady of the night, in the independent thriller, The Dead Girl. The film, directed by Karen Moncrieff, weaves together the stories of strangers affected by the murder of a young woman. Many "D" words have been used to describe the this moody piece: dark, disturbing, depressing, deep. But the one that is most important as it pertains to Kerry Washington's performance: Dramatic. For those looking to see a lighter side of Washington, you won't have to wait long. Later this year, she'll play temptress "Nikki" in Chris Rock's I Think I Love My Wife, and join the sequel of Fantastic Four: Rise of The Silver Surfer as blind sculptress, Alicia Masters. This is the first installation of The Black Model Museum, a shout-out if you will to the models we've come to love over the years. 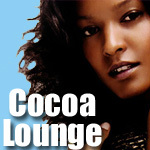 We're pulling photos and info straight from the archives--The Cocoa Lounge early years, circa 1999 - 2002. Hope you enjoy. Aisha Cain ruled the fashion world at the turn of the 21st century. 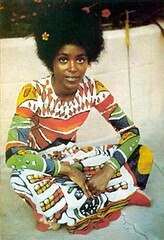 She stood out in the post-Naomi reign with her free-form afro and baby-doll features. Aisha had the face of an angel, and was immortalized that way in a long-running Evian campaign. Although Aisha isn't as visible these days as she was at the height of her modeling career, she remains one of our all-time faves. Serena Williams looks like a champion again at the Australian Open. In recent years, audiences have become more accustomed to seeing Serena Williams at Grand parties--not Grand Slams, and her commitment to tennis has been questioned more times than her fashion choices. So when she showed up with her racket to the Australian Open, many were expecting a speedy exit. But yesterday, after defeating her first Top 10 player in two years, Serena Williams' commitment is clear: She's back and she's swinging at anything moving. And whether she takes the Australian or not, it's good to see our girl back in championship form. So while we really can't "call it a comeback," it's the closest Serena has come to one in years. 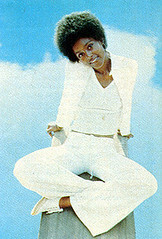 Hollywood had never seen the likes of a Brenda Sykes before she made her screen debut in the early 70s. 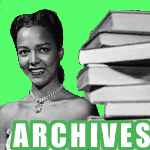 Sure there were the Lena Horne's, Dorothy Dandridge's and Pearl Bailey's of era's gone by; pin-up beauties or heralded performers that became the staples of black entertainment. But no one was quite like Brenda. The doe-eyed Louisiana native was a physical incarnation of the "Black is Beautiful" era. 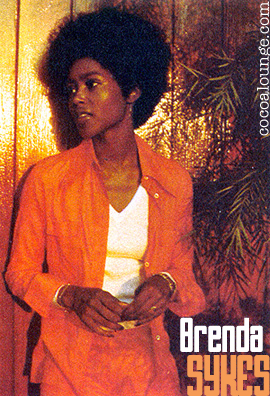 An antithesis of the buxom, brassy, heroines of the time (Pam Grier, Tamara Dobson, etc) Brenda Sykes, was, for a very brief moment in time, our Audrey Hebpurn. 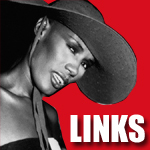 Discovered on the Dating Game, Sykes went on to co-star in notable 70s films including Cleopatra Jones, Mandingo, and The Liberation of L.B. Jones. 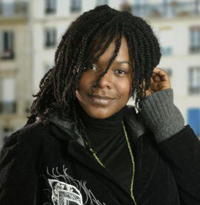 Though her acting career was mainly limited to supporting roles, Brenda Sykes imprinted herself forever in the psyche of many and remains a cellouid legend. It was a very beautiful night at the 64th Annual Golden Globes. Eddie Murphy received his highest honor to date; Forest Whitaker was justly rewarded for his portrayal of African Dictator Idi Amin and Dreamgirls took home Best Picture (Musical or Comedy). 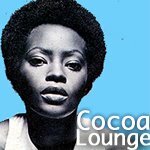 All of this alone, would be enough to make us here at The Cocoa Lounge ecstatic. But what we also found pretty darn cool is that audiences are forcing Hollywood to take note of it's fuller-figured talent. 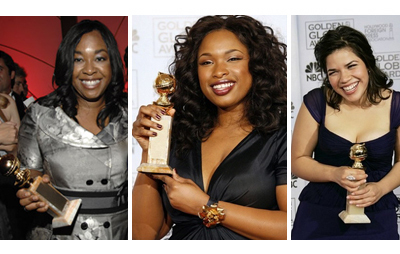 Props to America Ferrera, Jennifer Hudson and Shonda Rhimes for not only being amazing at what they do, but helping to usher in a new perspective of what a beautiful, talented, 'Hollywood Star' looks like. It's a good look and Hollywood wore it well. 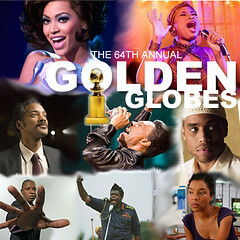 View the Full List of 2007 Golden Globe Award Winners. Stomp The Yard stomped its way to the top of the box office, raking in $22 million with a surprise number one debut. Yard, directed by Sylvain White and written by Robert Adetuyi (who also penned last week's disappointing Code Name: The Cleaner) danced past other new releases Alpha Dog, Primeval and Arthur and The Invisibles to secure it's place as this week's box office champ. Black Star Power was in full effect this Martin Luther King Jr. holiday weekend. With the addition of Stomp The Yard, three out of the top five films in the country featured predominately African American casts (Golden Globe contenders The Pursuit of Happyness and Dreamgirls were positioned at #3 and #4 on the box office chart, respectively). Yard, centers around the competitive world of HBCU step shows and stars Columbus Short, Meagan Good, Darrin Dewitt Henson, and Brian J. White. Estimated ticket sales for Friday through Sunday at U.S. and Canadian theaters, according to Media By Numbers LLC. Final figures will be released Tuesday. 1. "Stomp the Yard," $22 million. 2. "Night at the Museum," $17.1 million. 3. "The Pursuit of Happyness," $9.1 million. 5. "Freedom Writers," $7.1 million. 6. "Children of Men," $6.4 million. 7. "Alpha Dog," $6.1 million. 9. "Arthur and the Invisibles," $4.3 million. 10. "The Good Shepherd," $3.9 million. We think we just found our theme song. 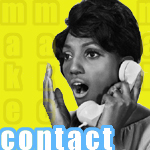 Though What's Love Got to Do with It, has made it tough for anyone to look at Ike Turner without fighting the urge to call the cops, the truth is that Ike & Tina put out some of the funkiest, hard-hitting soul records of our time. Check out Ike looking a lot like Andre 3000 from the Hey Ya video and Tina Turner, aka Soul Sister #1, performing, Bold Soul Sister. Tyler Perry Attempts a Three-Peat with "Daddy's Little Girls"
Tyler Perry is proof that there is still a pot of gold at the end of the box-office rainbow for black films. But the question in Hollywood as the debut of his third feature film Daddy's Little Girls draws near, is can he do it without Madea? Tyler Perry's trademark pistol packing mama, Madea, will be missing from theaters on February 14, 2007, but that doesn't mean the audience will. With a heartwarming story tailor-made for Valentine's day; an all star cast featuring Gabrielle Union, Idris Elba, and Tracie Ellis Ross; and a strong message (ED O.G. & Da Bulldogs 1991 hit Be A Father To Your Child comes to mind), Girls has the words "date" and "movie" written all over it. If you were to believe the media portrayal, you'd think the only great thing to come out of South Africa was the end of apartheid and actress, Charlize Therone. > Tsotsi, the 2005 Academy Award Winner for Best Foreign Language Film. > The South African Children's Choir - the young singers were featured on the Blood Diamond motion picture soundtrack and work for change in their native countries. Go on South Africa. We're with you! 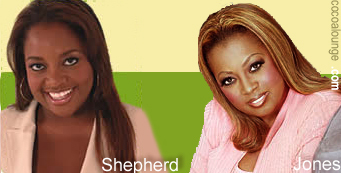 Rumor has it that Sherri Shepherd will replace Star Jones as the newest co-host of ABC's The View. Sherri is a phenomenal talent with one of the best personalities Tinseltown has ever seen. We're sure ABC has run more tests than NASA over the past several months and it's no surprise that Shepherd is in the runnings for the gig. Her energy, perspective and look makes her the most 'Star-like' of all the celebrity fill-ins, so apparently ABC's trying to get back to business as usual. Finally--if the rumors are correct--the empty chair dubbed, the 'black seat,' has been filled.